Hose Pot Terra Cotta is 21 in. diameter x 9 3/8 in. Hose Pot Terra Cotta Side hose entry hole allows hose to remain attached to faucet when stored. Can also be used with hose hole plug (included) to make an attractive planter. Water drainage channel on the container bottom assures proper drainage. The Hose Opening is 1.75 inches in Diameter with the capacity of 75 feet of standard hose. Its sleek and modern design makes storing the hose away more attractive and keeps a clean garden area. Being Light weight, made of high quality plastic and weather resistant makes this product durable during all weather. 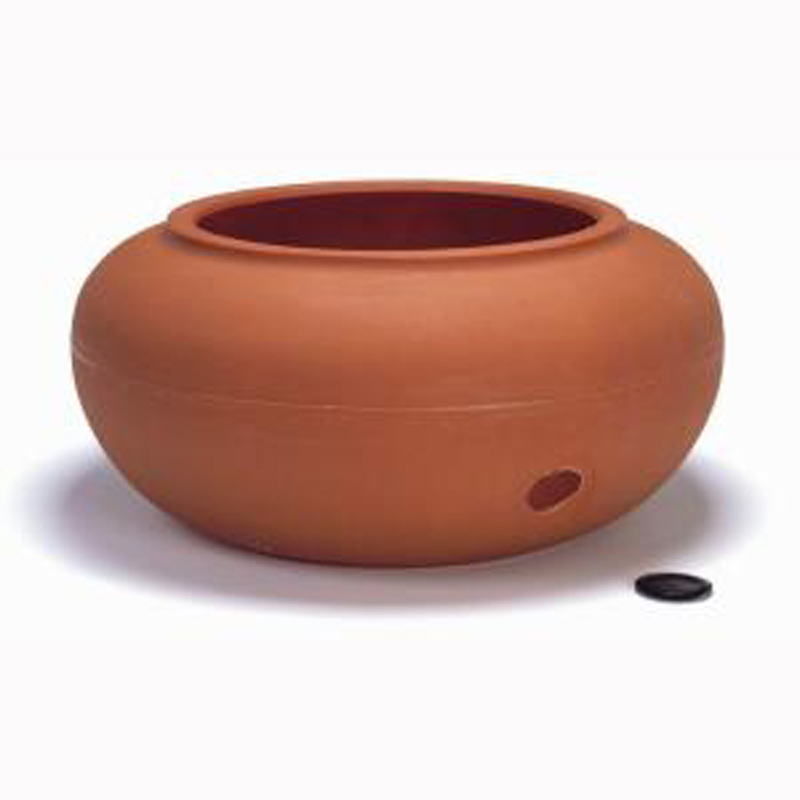 Metropolitan Wholesale is New Jersey and the New York Tri-State areas one stop source for Hose Pot Terra Cotta and all things garden related at wholesale prices. We carry a full selection of wholesale statuary, fountains, tools, cut flowers, planters and pottery, tropical plants, annuals, perennials, seeds and much more.